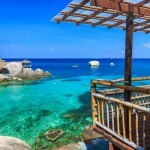 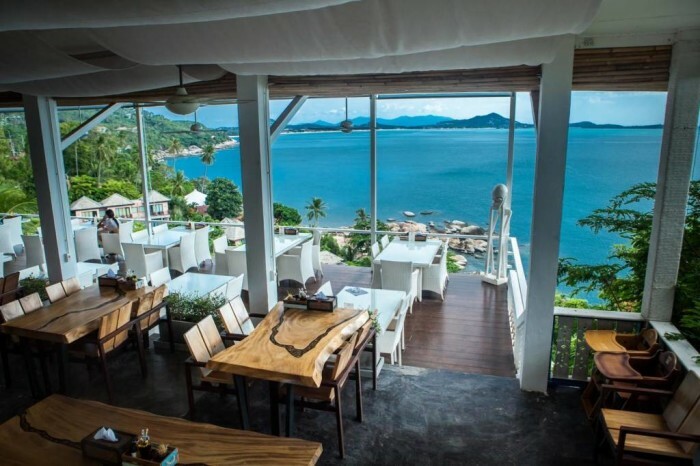 Home » 5 Latest Update Restaurants in Samui Island with a view! 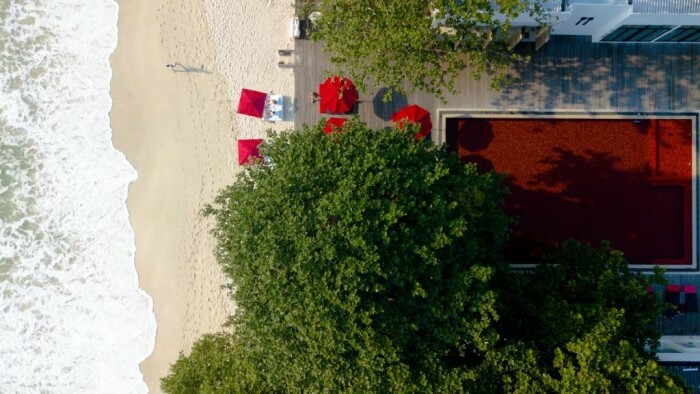 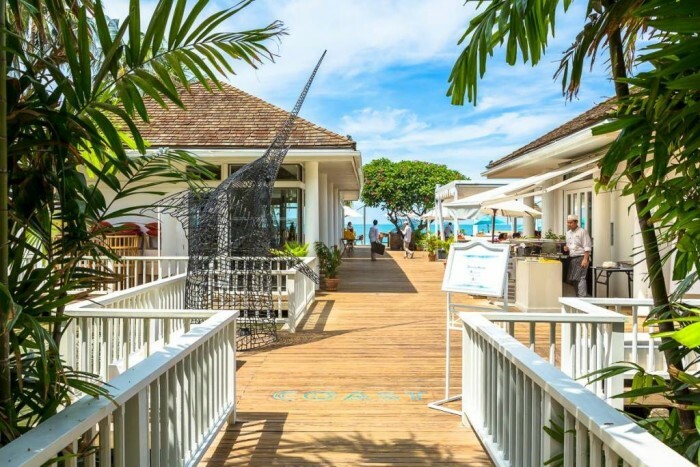 On an island that has become something of a beach lover’s paradise, five selective restaurants are set to join in the rank that cut above the rest. 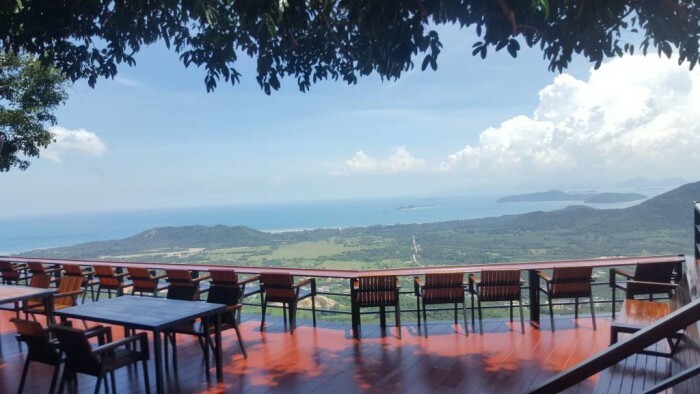 All with a view offering top spots to admire the third largest island in Thailand without compromising on food quality and flavor. 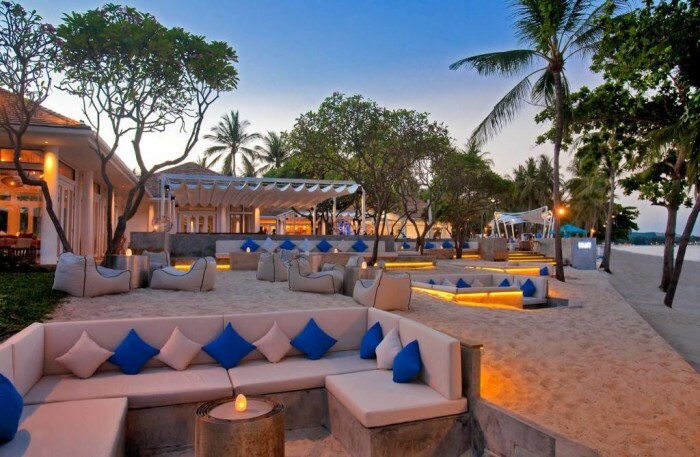 Here are top 5 restaurants in Samui Island that will leave you craving for more! 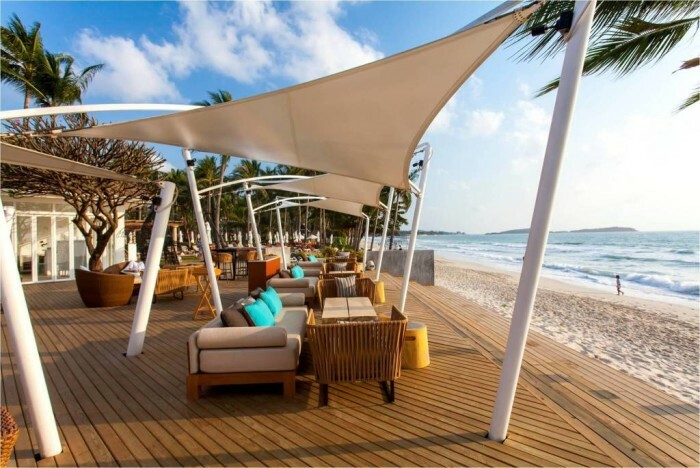 Bringing perfect mingling of the Mediterranean vibes with modern architecture and a touch of Thai hospitality, ‘The Coast Beach Club & Bistro’, situated on Chaweng Beach, knows how to brighten up your day with its grilled-focused cuisine and a relaxing afternoon by the beach. 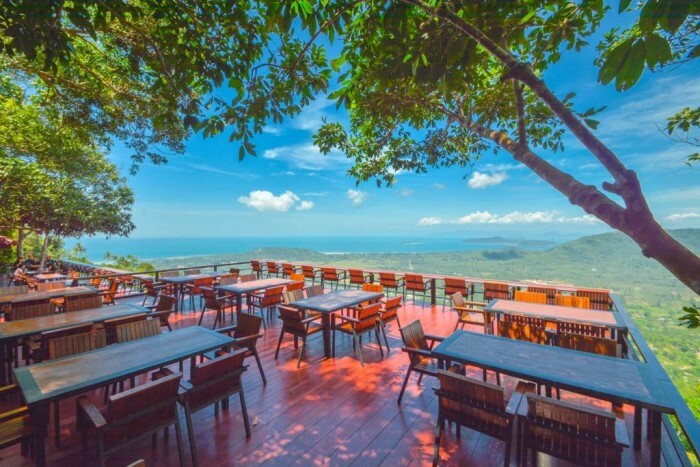 Excepting the well-known ‘Jungle Club’, the ‘Giant Summit Samui’ is one of the most astounding restaurants in Samui Island with a view where it’s not getting crowded yet. 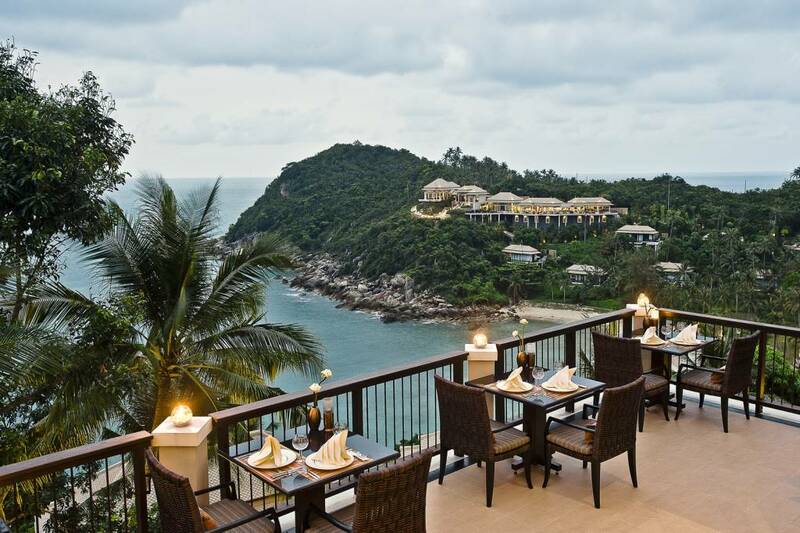 Perched on the hill overlooking Samui’s glittering sea, the Giant Summit offers the best view of the island wherever you sit. 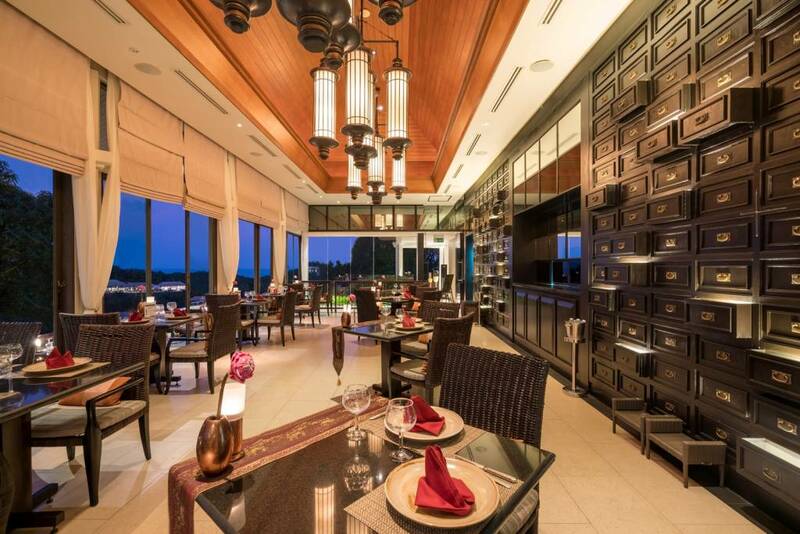 As part of Banyan Tree’s splendid dining venue, ‘Saffron’ delivers a combination of traditional Thai cuisine with a modern twist. 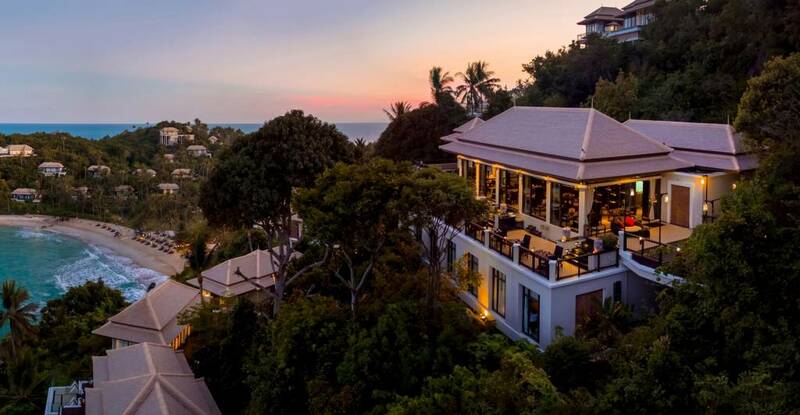 Perched on the edge of the slope overlooking the shimmering Lamai Bay, all diners are spoiled by Samui’s most spectacular panorama and refined ambience. 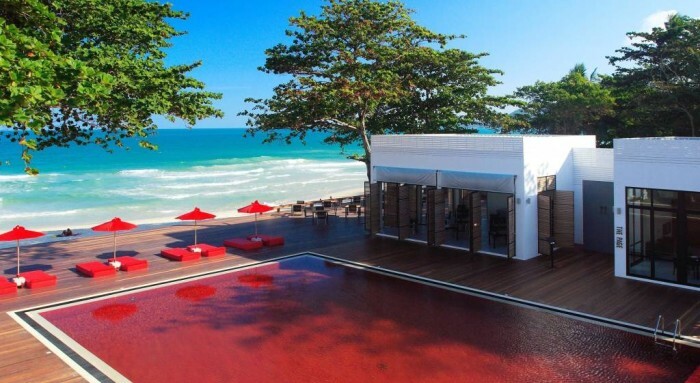 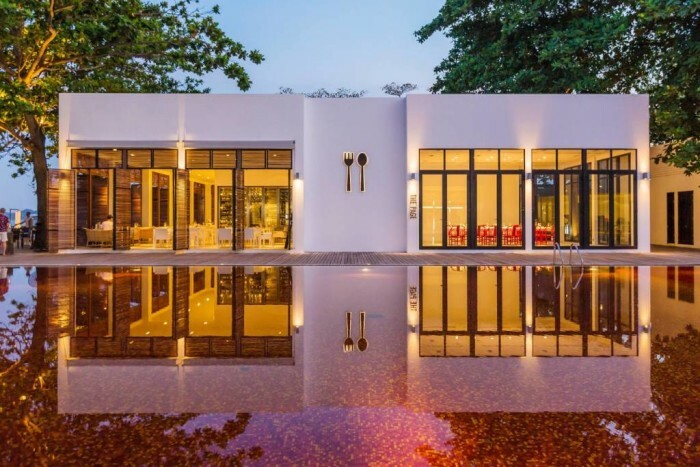 The pool in scarlet is conspicuous signature of the ‘Library’, a recently launched hotel in Samui. 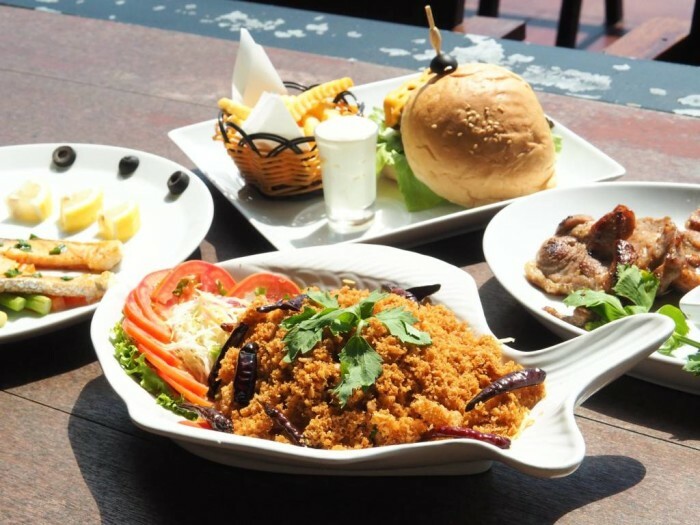 Presenting authentic Thai dishes with a contemporary pattern, non-Thai visitors will find original Thai delicacy that is hard-to-find and flavorsome. 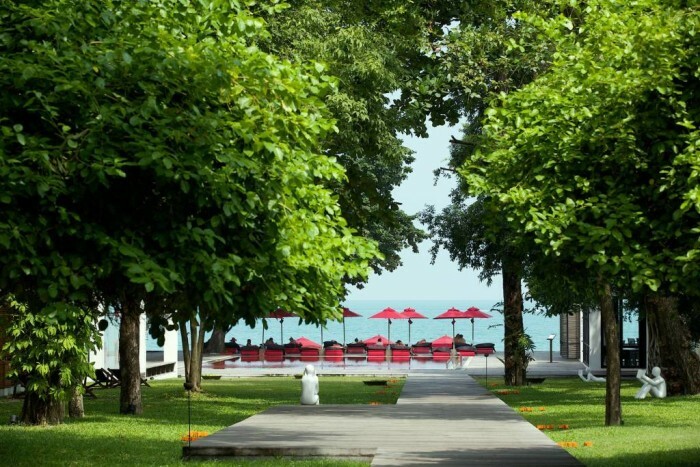 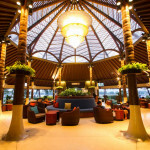 Vikasa Life Cafe is one of the most splendid restaurants in Samui Island for everyone. 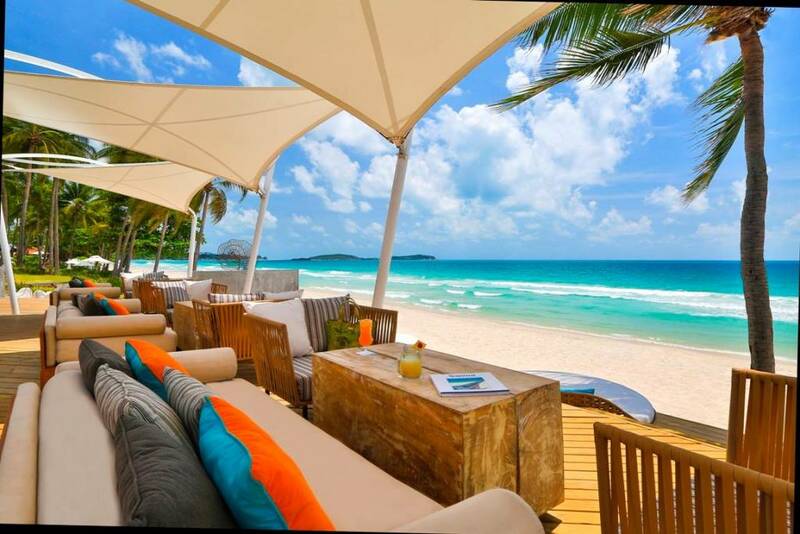 This stylish restaurant is perched on the hill between the 2 main beaches of Chaweng and Lamai. 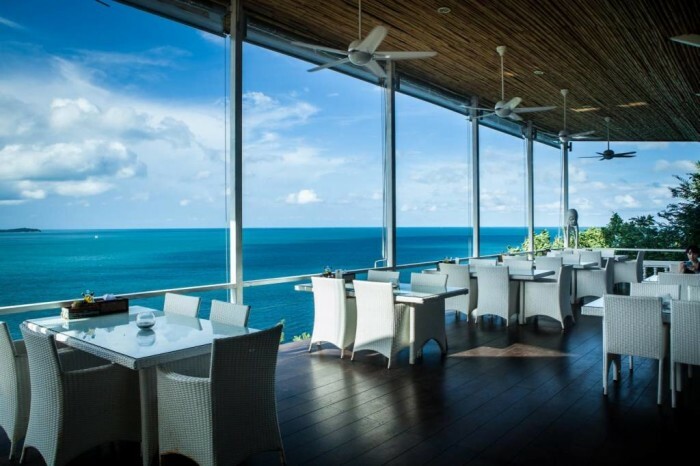 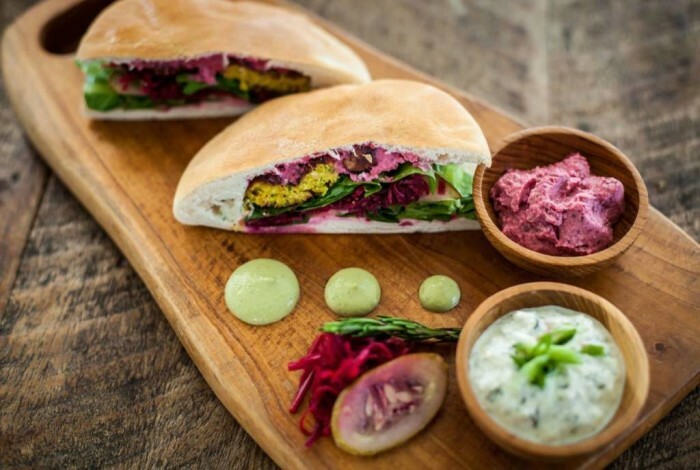 It offers the view that never gets old of Samui’s best view point together with vegan-friendly, international, fusion, western, raw and non-vegetarian dishes. 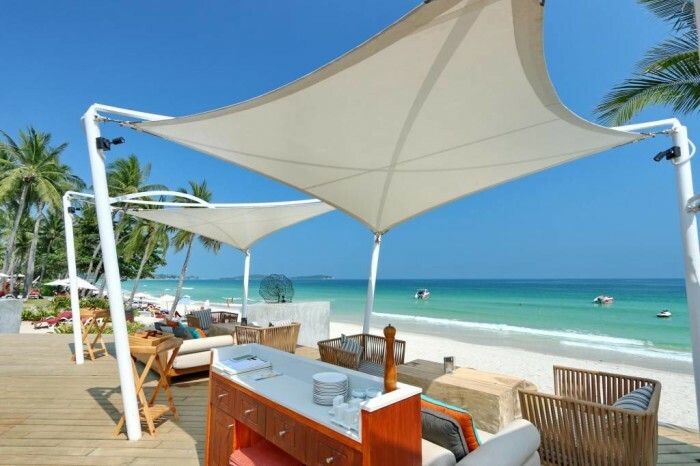 Samui Island has never short of amazing things to explore as these restaurants in Samui Island have emerged to be your next phenomenal eateries.